Ah, red and white peppermint candy canes. What says "Christmas" more than candy canes? These striped sweets are definitely an old-fashioned Christmas candy, as they have been around since about 1900. This tub gives you 280 mini candy canes for on-the-go snacking during the holiday season. Maybe you need some Christmas candy in bulk to hand out as holiday party favors, or perhaps you're planning some Christmas candy buffets and nothing but classic candy canes will do. Blair Candy has you covered there. 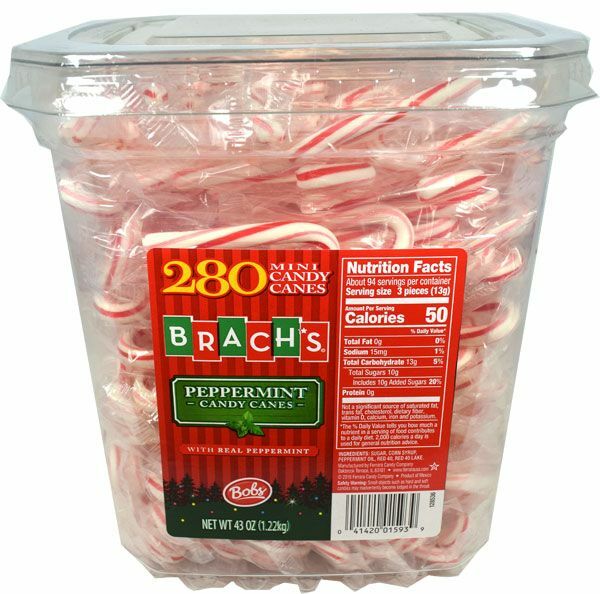 Snap up this tub of candy canes for a low price today and get started on your Christmas candy enjoyment! Keep shopping with us to take advantage of all our wholesale Christmas candy options!